During the month of March, the office and customer area at Master Mechanic Whitby on Brock Street North has been home to boxes and boxes of non-perishable food, household cleaning products personal hygiene items and anything else in demand. Master Mechanic Whitby’s third food drive has been the most successful yet, collecting 1,495 pounds of food and other items. 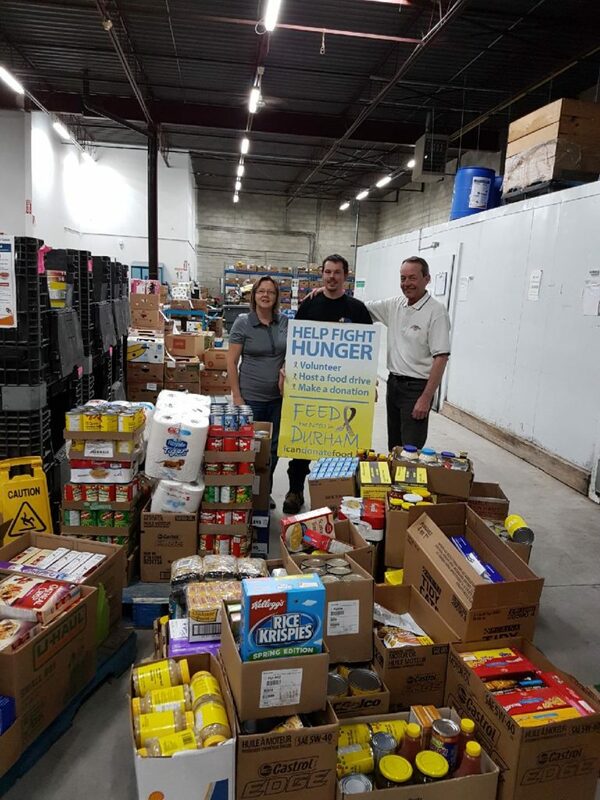 The Hook’s appreciated how so many of their customers, suppliers and La Rosa’s No Frills contributed to the collection for Durham Feed the Need. Master Mechanic Whitby has been giving back to their community since opening their doors in the year 2000 raising more than $100,000 for various charities over the years.